Smart speakers market in India is getting bigger with every passing quarter as brands are aggressively launching new models with innovative features. 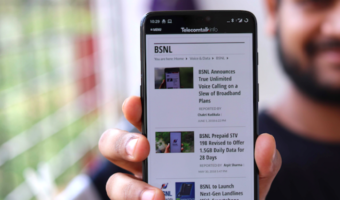 Going by a new report published by International Data Corporation (IDC), Amazon is leading the Indian smart speakers category with 59% share and the US-based company is closely followed by search giant Google which secured the second position. Overall, the smart speakers category in India grew by 47% during the second quarter of 2018. The IDC report is named as “Worldwide Quarterly Smart Home Device Tracker”. Amazon sells its Echo range of smart speakers in India, while Google has two Home products in the country with Google Assistant baked in. 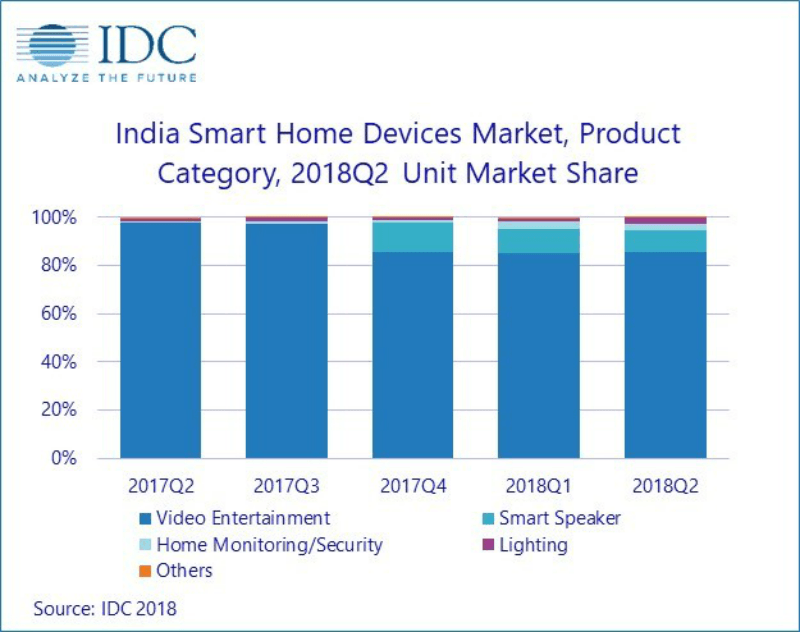 The Indian smart home devices market which consists of connected lights, smart speakers, connected thermostats, smart TVs, home monitoring/security products, digital media adapters, among other connected devices for homes, saw a healthy year over year growth of 107% to reach at 1.4 million shipments in the second quarter of 2018, as reported by IANS. Video entertainment category which includes smart TVs, streaming sticks and set-top boxes grew 81% year-over-year, and the category continues to dominate with 85% unit share within the portfolio of various smart home products. Amazon remains the clear leader in the streaming stick category, with almost eight out of 10 streaming devices sold in the country being Amazon Firestick, the research showed. 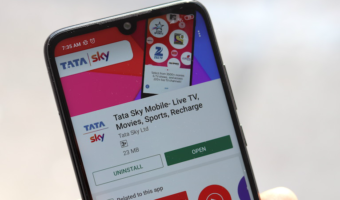 “The Indian video entertainment market is seeing an upgrade to connected media devices and larger screen viewing experience,” said Jaipal Singh, Associate Research Manager, Client Devices, IDC India. Last week, Amazon brought its refreshed lineup of Echo products to the Indian market. The new products are Amazon Echo Dot with 70% better sound and new fabric design, priced at Rs 4,499. There’s a new Echo Plus priced at Rs 14,999 which replaces the existing Echo Plus. The 2017 version of Echo Dot is now retailing for Rs 3,499 in the Indian market.